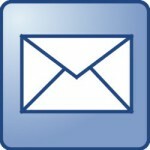 WebProNews posted this article about an executive at Facebook stating that e-mail will probably go away. I have commented the below, what do you think? Well, that article hits the nail on the dot. E-mail can’t die. It is so integrated into our daily lives that there is no real way to conceive it to just die. But because I like to play Devil’s Advocate, I will contest this statement (without any proof, all just postulates, so don’t see it as opposing your story or the comments of the hundreds of – absolutely correct – commentators on your post). Who’s to say there will not be a new technology to take the place of email in the near future? Maybe Facebook is currently busy developing it. Who would’ve thought about 15-20 years ago that cellphones would all but replace conventional telephones? Furthermore, when Sheryl said email will vanish, did she mean it will vanish like dinosaurs did, or did she mean it will vanish like the Illuminati did? Or even vanish as the KKK in the USA or Apartheid in South Africa? Just think about that… Does “dying” really mean “extinction” in this case? Now, I didn’t attend the show, or listen to the broadcast, but I am just speculating here: could she have meant “conventional email sent via a computer” would die out? Could she have said that “email will die out in favor of mobile technology”? While these mobile devices certainly all have messaging technologies, and has a “handle” or “nickname” that has the format of an “email address”, does that necessarily make it an email? And now, let’s go back to the other side for a bit… (sorry Sheryl)… If you take the official definition of email, according to one source on the net: “Email is a way of sending messages from one computer to another.” or another: “Email is the exchange of computer-stored messages by telecommunication”, it could be postulated that even an SMS is an email. So is an MMS, so is ANY other method of receiving a notification via electronic or telecommunications media. This entry was posted in Technology and tagged communication, e-mail, technology by bliksem. Bookmark the permalink.